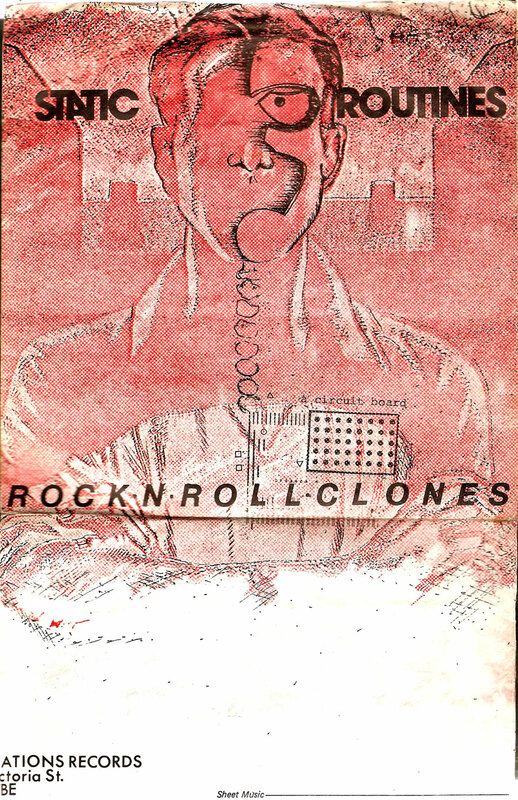 From Blackrock, Dundalk, Static Routines released their 7″ single “Rock n Roll Clones” on the Good Vibrations record label in 1979. 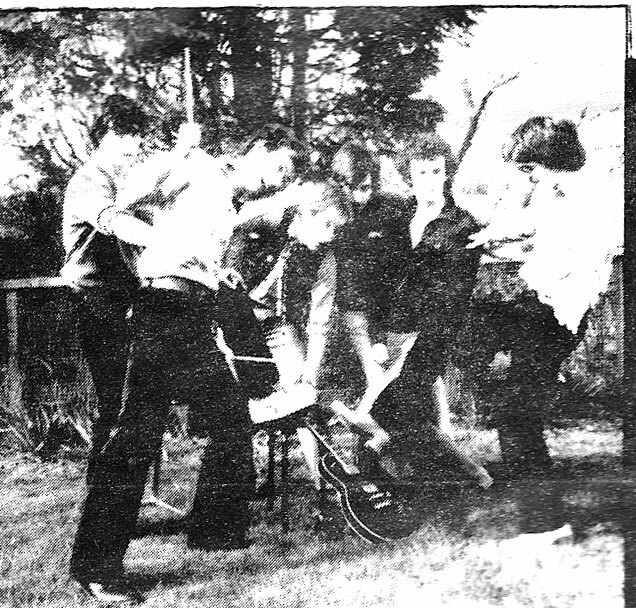 The song had nothing to do with Clones or any other Co. Monaghan town. The group featured Conor O’Mahony on bass and now journalist and writer Declan Lynch (Sunday Independent, John Giles A Football Man & more) on keyboards. Conor later became manager of Something Happens. I’m pretty sure John McKenna of Bridgestone Guides fame was their manager. 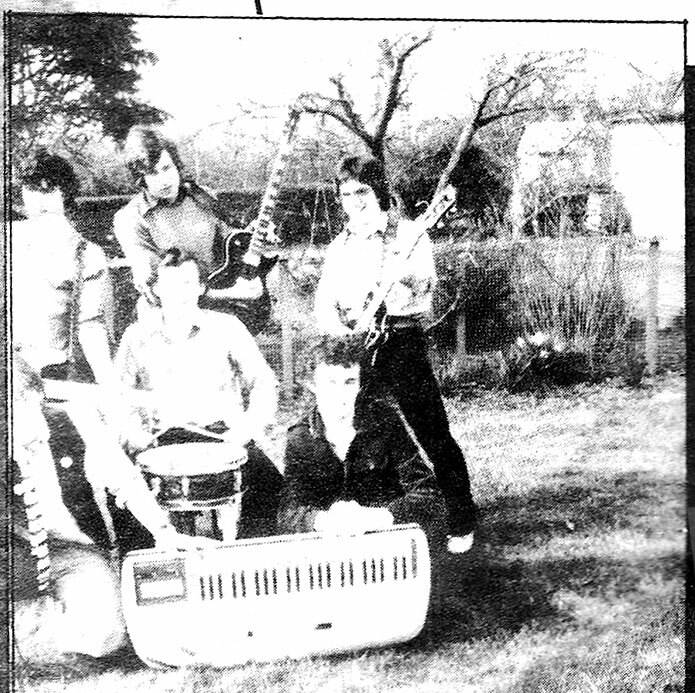 Paul O’Neill, David Tuomey, Dominic O’Dowd and Paul Hamilton were the other band members. Images and text below are all from the sleeve of the single. I’ve put together an audio of the single on YouTube (see bottom of this post), accompanied by an A -Z selection of scans from the brandnewretro vaults. Ant to Zhivago. I remembered the single as soon as I heard it. Love the video and the gratuitous naked woman in the middle! 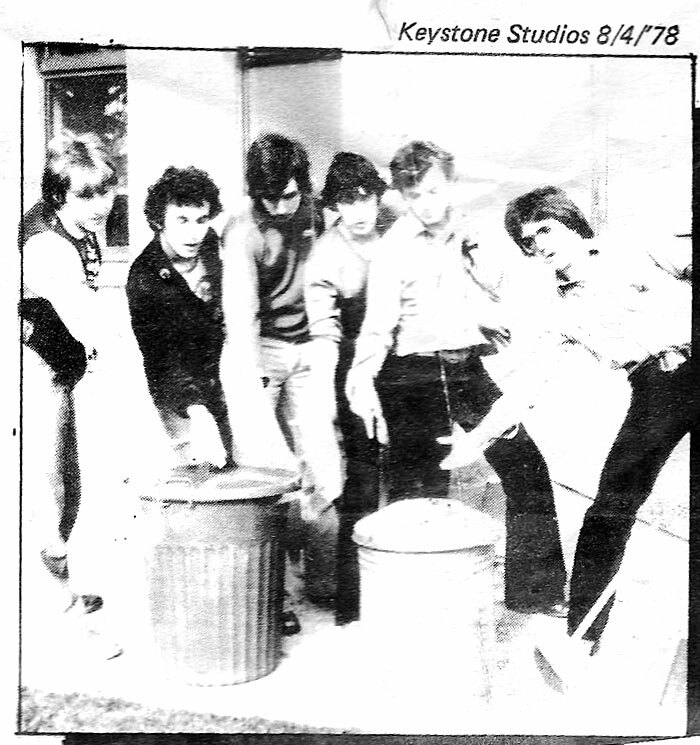 great single,have it…..great to see it wasn’t all stuff from up north at the time but that there were great bands from co louth(LEGALISED SLAUGHTER),GREMLINZ,this lot NRG,etc. 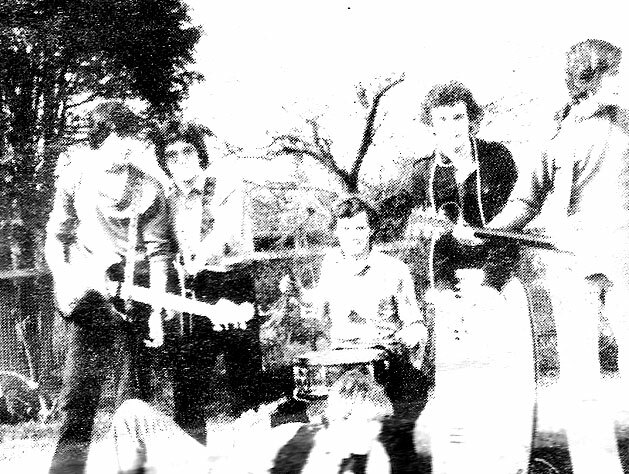 Don’t want to embarrass the boys, but they debuted in late 1976 as “Nocturnal Light”, playing to a crowd of tens in the Legion of Mary hall in Blackrock. 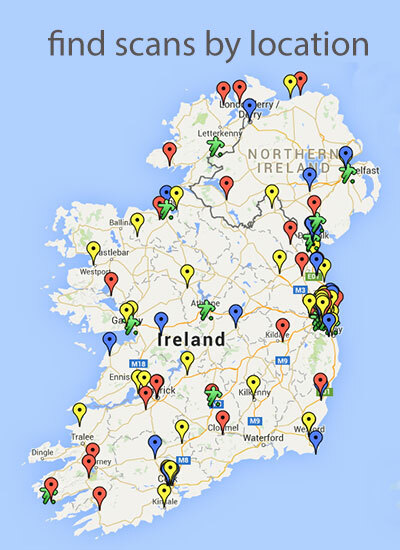 The one in Co. Louth, naturally enough, since they lived there. Can’t remember if the music was early new wave/punk (probably not with a title like that) because having walked out there with the aid of a purloined naggin of whiskey from dad’s stash (which he noticed, btw) any memories of the music are well gone. As they probably were within 5 minutes of leaving – or being thrown out more likely. Never heard of Nocturnal Light until now. Thanks JayKay. Knew them as Nitro before they became S Routines. Town to Blackrock. That was a bit of a walk for you! Hi David, good to hear from you. Never knew (or possibly just forgot) about the Horslips tour support. 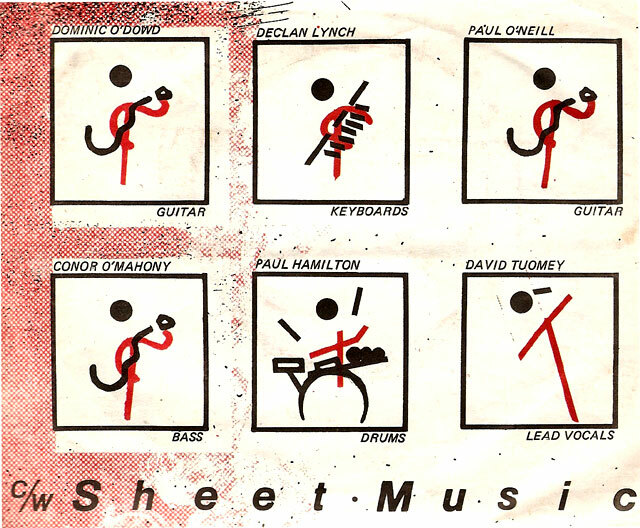 Good idea about the other side of the single, Sheet Music. Will do…sometime over the next few weeks.